What’s changed since “Humanae Vitae”? The Pontifical Gregorian University is hosting a series of lectures on the 50th anniversary of Paul VI’s landmark encyclical, but some of the speakers aren’t defenders of Humanae Vitae—and one of the Church’s most brilliant analysts of the social and cultural impacts of contraception was not invited. Throughout this academic year, Rome’s Pontifical Gregorian University is hosting a series of lectures, billed as the “first interdisciplinary” study to mark the 50th anniversary of Blessed Paul VI’s encyclical Humanae Vitae. The series promises to examine the “many problems” that have emerged in family life since Pope Paul wrote on the ethics of human love and the morally appropriate methods of family-planning. And that could indeed be useful. Yet the roster of series speakers is not replete with defenders of Paul VI’s teaching in Humanae Vitae, and at least one of the lecturers has telegraphed his revisionist theological punch by suggesting that today’s “new situation” is quite different from that addressed by Humanae Vitae. On that, at least, he’s right: the situation is far worse. The Gregorian promises the involvement of both the social sciences and moral theology in its study, presumably to complement the work of a new historical commission on HumanaeVitae established by Pope Francis. So let’s look at some of the relevant social science. Please note that no EU country was in a major war in 2014. Nor was any EU country beset by a devastating plague. Nor did Europe suffer a Vesuvius- or Krakatoa-like natural disaster. In other words, none of the causes of demographic collapse that have depleted populations throughout history was in play in the European Union in 2014. And insofar as I’m aware, European men have not suffered the loss of fertility that sets the stage for P.D. James’s brilliant novel, The Children of Men. So from a strictly social-scientific point of view, one is led to the inescapable conclusion that Europe’s infertility is self-induced. Which means that European infertility is deliberate and willful, not random and accidental. Which means that Europe is contracepting itself into demographic oblivion. 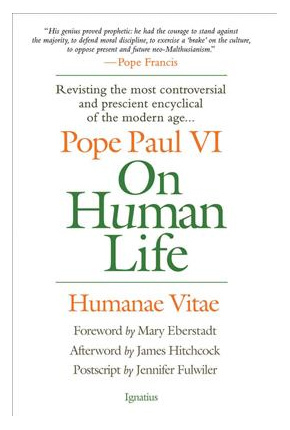 And that means that Paul VI has been thoroughly vindicated in his warnings, in Humanae Vitae, about the effects of a “contraceptive culture:” a culture in which love and reproduction are technologically sundered; a culture in which children become another lifestyle choice like the choice of vacation (the Dalmatian coast or Majorca) or automobile (BMW or Mercedes-Benz); a culture in which the family is redefined absent its most fundamental characteristic – the transmission of the gift of life and the nurturance of the young. Now there’s something for our Gregorian social scientists to ponder with their theological colleagues over the next eight months. Yet the notable absence of Humanae Vitaeproponents among the lecturers does not fill me with confidence that the causal linkage between the contraceptive mentality and Europe’s demographic suicide will be seriously examined in this series of lectures. Neither does the absence from the roster of lecturers of one of the Church’s most brilliant analysts of the social and cultural impacts of contraception, my friend Mary Eberstadt. Mrs. Eberstadt’s 2012 book, Adam and Eve After the Pill: Paradoxes of the Sexual Revolution (Ignatius Press), analyzes the real-world effects of ignoring Paul VI on men, women, children, values, and culture with greater insight than anything produced at the Pontifical Gregorian University since Humanae Vitae was issued; of that, I am quite confident. Yet Mary Eberstadt was not invited to participate in an examination of the “new situation” after Humanae Vitae. And that, in turn, suggests that those who arranged this series of lectures are either woefully ignorant of what’s happening outside their intellectual silos – or that the Gregorian conference organizers have more than their elbows up their sleeves. Loreto, Italy, Jul 23, 2017 / 03:57 pm (CNA/EWTN News).- Nine-year-old Andrea is an Italian boy who joined 130 children last month for a “Pilgrimage of Joy” to the Marian Shrine of Loreto, Italy. He was so moved by the experience that he wrote a letter about it to Pope Francis, inviting the Pope to accompany him and the other children for another pilgrimage next year. And the Pope offered a surprising response, leaving the door open to the possibility in a letter of reply. “Thanks for the invitation you have made me to go on a pilgrimage with you, being with children is for me the greatest joy. A proverb says: ‘Never say never.’ Therefore let us entrust this dream into the hands of Providence,” the Pope wrote. Andrea’s letter to Pope Francis was sent on behalf of himself and the 130 other children who traveled to the Marian Shrine of Loreto from June 22-26. The letter was reprinted by several Italian media outlets. The pilgrimage was organized by the Rome-Lazio chapter of the National Italian Union of Transportation of the Sick to Lourdes and International Shrines (UNITALSI) with the goal of teaching young children the importance of prayer and closeness to God, while at the same time allowing them to play, have fun, and make new friends. “We are more than 130 children, and many are sick, others in wheelchairs and others are going alone and are accompanied by some nuns,” Andrea said in his letter, adding that they are praying for the Pope every day. Andrea also included a group photo of all the children, and asked for the Holy Father’s blessing. “Thanks also for the group photo you sent me, where I could see that there are a lot of you, and you all look so nice. As I was looking at each face in the photograph, I was praying to Our Lady of Loreto for you, and I blessed you straight from the heart, along with your parents, volunteers, priests and the UNITALSI leaders,” the Pope said in his reply. London, England, Jun 17, 2017 / 06:26 am (CNA/EWTN News).- After facing backlash for his Christian faith, the head of the UK’s Liberal Democratic Party announced his resignation on Wednesday, claiming that leading the party was becoming incompatible with living his faith. “To be a political leader – especially of a progressive, liberal party in 2017 – and to live as a committed Christian, to hold faithfully to the Bible’s teaching, has felt impossible for me,” said Tim Farron, noting he would hold his position until the parliamentary recess begins next month. Farron’s announcement follows significant media attention surrounding his answers to press questions on abortion and homosexuality. During the recent election, Farron had been asked repeatedly by reporters about his views on the morality of homosexual acts. Earlier this week, the party’s home affairs spokesman Brian Paddick – a prominent gay politician – resigned abruptly, citing concerns over opinions held by the party’s leadership. Despite the Liberal Democrats gaining several parliamentary seats under Farron, he faced opposition from within his own party. “It would be the same for people of other faiths who have strong faith views, where there are issues that are very controversial within that faith community,” he told the BBC. Farron noted the “scrutiny” he faced when “asked about matters to do with my faith,” claiming he felt unable to remain Christian in the current environment and could not benefit the party in its mission of upholding everyone’s rights. He said journalist had the right to question him as they saw fit, but that the scrutiny of his faith in the public eye drew away attention from the message of the Liberal Democratic Party. 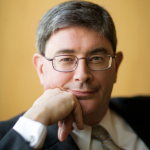 “In which case we are kidding ourselves if we think we yet live in a tolerant, liberal society,” he said. What has changed since 19687/68 is that the church is even more comfortable with the idea of adapting to modern trends and malleable doctrine, add to the recent acceptance of the breech between doctrine and practice. God says in Luke 13:24 that “many” people go to hell. Additionally, God implies in Luke 13 that “many” people live their lives on earth thinking they are going to heaven, but after they die, they are thrust out of the Kingdom of God and into hell. Who are these people who think they are going to heaven but will realize they are going to hell when its too late? Because contraception is a very prevalent mortal sin (along with the mortal sin of spreading Islam through “refugee” re-settlement, propagating theft in the form of amnesty of illegal immigrants, voting in favor of liberal politicians, refusing to oppose liberal politicians, etc. 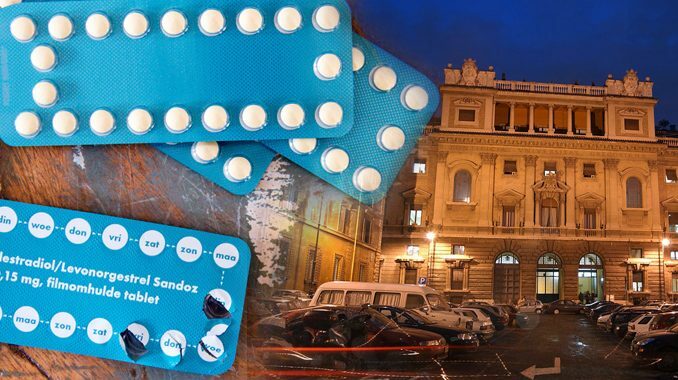 ), one can conclude that those priests, deacons, and bishops who refuse to oppose contraception as well as the “Catholic” contraceptors themselves are some of the most likely who think they are going to heaven but instead will be cast into hell when they stand before God. The Holy Spirit gave these prophetic Teachings to Paul VI. Let us rejoice and live them! We have boomer bishops and women in clerics running the Church. The Deposit of Faith still stands….for the moment. But we have a pope who is brazenly aware that he answers to no one and, by his continuous words and actions, shows contempt for the Moral column of the Church’s twin infallible promises concerning Faith and Morals. From the remarried on the Eucharist, contraception, capital punishment, and even homosexuality, this pope is open to “change.” And of late, Francis has been exhorting on how “wonderful” change is concerning doctrine and claims it is from God. Cannot wait for the new Catechism of the Catholic Church and how it will be explained on how the Holy Spirit changed on infallibility should the illustrious Pope Francis take the fateful step(s).